Babies Granted LIFE In Ohio!! | All Boards | Current Events | Topic: Babies Granted LIFE In Ohio!! 0 Members and 1 Guest are viewing this topic. Ohio Governor signed a Bill to prevent babies with beating hearts from being yanked out of a mother and killed. Re: Babies Granted LIFE In Ohio!! 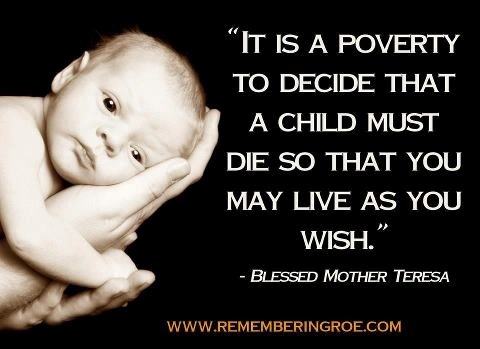 What kind of person would purposely KILL a defenseless and innocent baby? ? ? ? ? ? Which Mengele Fascist Judge will block the law? The pendulum will swing back when the voters tie off government interference. What it boils down to BS is not one of you leftist democrats can point to that right in the constitution or bill of rights. The baby growing inside a woman has different DNA and is therefore a DIFFERENT PERSON!!! No one has the moral right to KILL that person!!!!!! You are so wrong once again DBM. I respectfully suggest you read RvW. I do believe you will see that the learned SCOTUS referred to the fourth amendment in making their landmark decision. Right wing uneducated extreme zealots have been fighting since then with no basis except their snowflakishness. Ironic when you consider Democrats are for unlimited government interference in every other aspect of American life! If Democrat really were pro-choice instead of pro-abortion they wouldn't oppose any and all possible regulation of Abortion! Abortion is not safe for the baby! Since when is it a woman's right to murder a child? Look at d2dvd! She's lying again about Democrats; this time she's accusing them and other progressives of interfering in "every aspect of American life." But, evidently, she sees nothing wrong when Republicans and other reactionaries enact and enforce repressive laws that intrude into a woman's life, laws that force her to bear children against her will. Wow! What hypocrisy! 1. An unborn child is either an embryo or a foetus; it's neither a person nor a human being. 2. Having DNA that differs from that of the expectant mother does not make the unborn child a person. 3. As long as an unborn child remains in the womb it is not a separate entity; it is part of the woman's body. 4. Using your flawed reasoning, embryos and foetuses would be considered persons and, therefore, would be counted in censuses. 5. Anti-abortion laws infringe upon a woman's right of privacy and her reproductive rights, by denying her the right to decide privately what she wants to do with her own body, i.e., denying her the right to decide for herself whether or not to bear a child. That decision should be hers, not the government's. | All Boards | Current Events | Topic: Babies Granted LIFE In Ohio! !